ATLANTA (AP) — America’s busiest airport, Atlanta’s Hartsfield-Jackson International, is a blur of activity on the best of days. 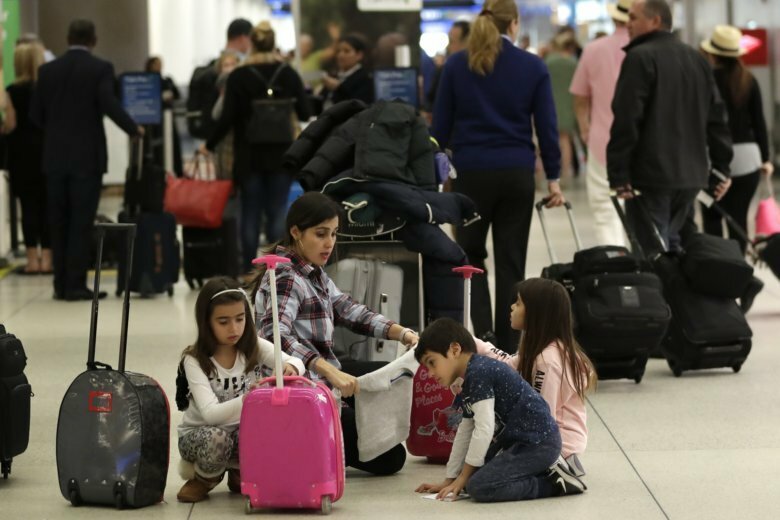 But an extra layer of anxiety gripped the airport Friday, the eve of a three-day holiday weekend. The partial government shutdown — the longest ever — has thinned the ranks of federal workers who staff airport security lines. And some travelers had braced for the worst. The scene at most of the nation’s airports has so far been marked more by concerned passengers showing up early than by missed flights. Yet concern is quickly growing. President Donald Trump and Democrats in Congress remain far apart over Trump’s insistence on funding for a wall along the Mexican border as the price of reopening the government. And the two sides are trading taunts and avoiding talks.